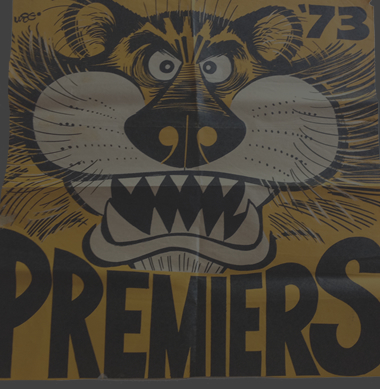 Tiges versus Dogs was always going to be a hiding to nothing for the Tiges: win easily and it was because the Dogs had racked their collective cue, win averagely and we were getting ahead of ourselves, lose and we were suffering a Premiership hangover and limping into the finals. In any case, we had 1st sewn up – for the first time since 1982 – ergo, happy days. Firstly, apologies to Chris, who single-handedly keeps TigerTiger up and running, for the lateness of this report – no excuses. I have given myself an uppercut, although I have subsequently been told I have the ‘full support of the board’. As it panned out, we both got what we wanted although Jill was less than thrilled that her Scraggers couldn’t finish the job, especially as they had been the better side for most of the match. 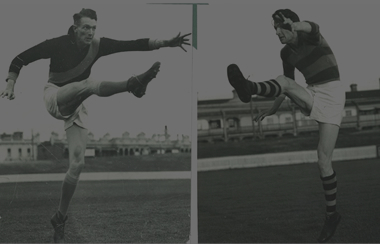 Jack kicked his 600th and finished with 5 for the night – a great return considering he had the tenacious Dale Morris attached to him with a bungee-cord for most of the night – and in the process put himself in the driver’s seat to win a third Coleman Medal. As far as the game went, yes, it was close but as a game it really wasn’t much. The Dogs tried really hard and nearly won, we did as much as we could to win without risking a bruise of any sort. The stats don’t lie: we lost the clearances, tackles, contested possessions and, this will surprise no-one, the free-kick count. In fact, we lost the free-kick count 10-20. 10-20!!! FFS. Every footy follower bemoans how poorly the umpires treat their team, but I can say in all honesty: we are being shafted by the maggots. I mentioned this fact during the game and my comment was met with disbelief from the other end of the couch – ‘All the frees have been there, we’re just going in harder.’ I tried a couple more times to get some sympathy from Jill but was met with rolling eyes and a request for a larger couch. I gave up. On the Bulldogs front, if they ever get sick of Jack McCrae, he’s more than welcome at Punt Road – he is a jet. 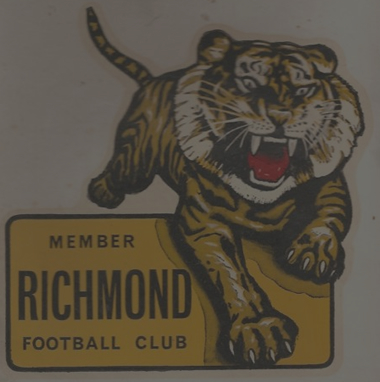 And if there is ever a TigerTiger award for Best Ranga from Another Club, Ed Richards would be the shortest-priced favourite since Cam McIntosh won the AFL Player Who Looks Most Like a Pensioner award. In summary: we did enough to win, we will go into the finals with an almost perfectly healthy list and we’re a reasonable chance to go back-to-back. If anyone had told us this 2 years ago we would have told them, in the words of Darryl Kerrigan, ‘you’re dreamin’. I missed the first 10 minutes of our match against the Swans and when I sat down to watch the tele, we were already down by 12 points and hadn’t troubled the scorers. 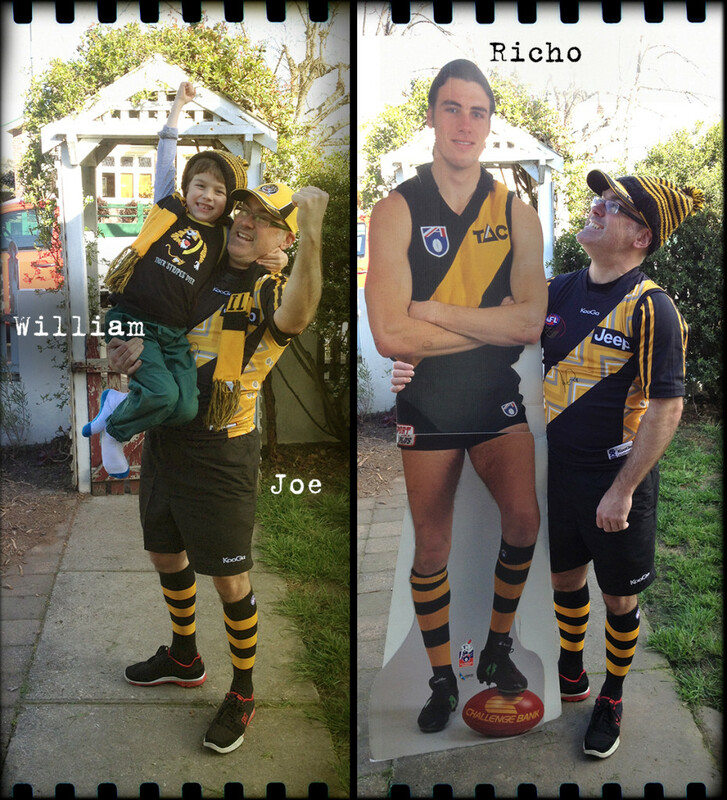 I did sit down in time to see Cotch miss an easy set-shot from 25 out…nnhhh…and to see poor Reece Conca go down with a very nasty ankle injury – the vision of which caused a great deal of distress to my 10-y.o. son, William, who is a very empathetic little soul. Jack took one of his many great grabs then turned it over with a dud kick, Tormund Giantsbane got a 50 (I have no idea why) and banged one home from 55. Titch was mercurial, Dusty unsighted and our skipper missed most of the second half of the quarter off with an ankle issue. We bombed the ball inside our 50 without any great direction and it was Turnover City™ from our boys. Jack managed a great one-armed mark 1v1 on Aliir, offloaded to Short and BANG! from 50. Since I had entered the loungeroom we had outscored Sydney 37 to 7 – so I walked out and back in again for the start of the second quarter. Nank started our second quarter well by winning a free via a crunching tackle on Kennedy. This was cancelled by a lazy effort from Dusty – my notes say ‘Dusty giving us donuts’ – not good. Sydney kick two quick ones and its Tiges 37 – Swans 31. I’m beginning to wonder if our intense method of play is taking a toll on our players as our opponents look much sharper. We’re in yellow and black, the Swans in red and white – why aren’t the umpires in blue instead of their almost-yellow lime-green? 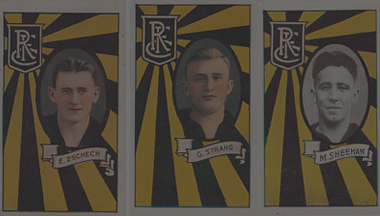 This is one of my pet hates – maggots running around in colours similar to the players. Unnecessary and completely avoidable. Nank is, in the meantime, running Sinclair ragged while Broad takes a very gutsy defensive mark – sitting in the hole just waiting to get smashed. Short to Riewoldt, Buddy shows zero interest in chasing, Jack shanks the resulting shot out on the full. We are pummelling Sydney but getting no scoreboard reward. Next up is the highlight of the match – Vlastuin takes an absolute hanger, sitting on Buddy’s head. Vlastuinulenko, you beauty! One less rotation may be a problem as the game progresses. The third quarter starts with an awful Dusty turnover – he is a shadow of 2017 Dusty. Ray Chamberlain checks his watch, realises he hasn’t given a 50 for a few minutes and hands one to the Swans. 44-37. Jack takes yet another mark and goals from 55. Lambert follows up almost immediately. 56-37. Finally getting ‘reward for effort’™ now. Tormund elbows Parker in the melon and blind Freddy knows he will miss the Crows game. What a dill. Parker converts. 56-43. Short goals. 63-43, then Parker goals again 64-49 (Swans have kicked 8.1). Jack, marking like Richo in his prime, bombs another from 55! 71-49. The physical intensity is brutal as the Swans realise the game may be slipping away from them – this is not the soccer world cup (Neymar, having received several ladders in his socks, has spent 14 minutes – as timed by the NY Times – rolling around on the ground thus far in WC2018). Jack takes mark #13! Hayward marks in front of Prestia, who looks like he is completely lost trying to defend inside 50. 71-55. Now my blood is about to boil – Franklin gets yet another soft free-kick. 71-61. Q4. Kennedy to Franklin. 71-67 (11.1!) Cotch misses another easy shot – this really is his Achilles heel. Caddy misses OOB. We are camped inside our attacking 50 but can’t score. Lambert kicks a dribbler that runs 40 metres, straight through the hi-diddle-diddle! 78-67. Jack – mark #15! Titch – goal! 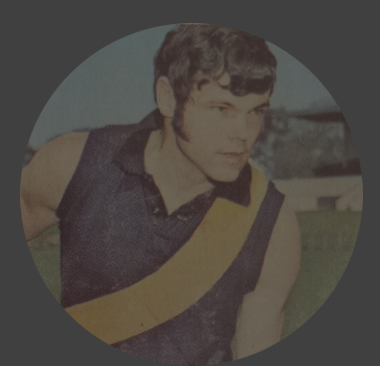 84-67 Cotch – you guessed it – miss. Jack mark #16! Skipper intercept, off to Lambert, GOAAALLLL!!!!! It’s all over. Our skipper is brilliant, but his inability to score when the opportunities arise may hurt us at some stage when things get tight. Dusty is going at half-rat-power. If he gets it together we will be untouchable. After Franklin’s early goal, we kept Sydney scoreless in the last quarter – very satisfying. I love Tormund, but elbowing Parker was just plain stupid. Jack Higgins’ joke and the team’s reaction, just before the start of the third quarter, was very refreshing and tells me we are in a very good place. Our response, after Conca’s injury, was brilliant and indicative of a Premiership team. Jack played the best game of his life. He was superb. I spent most of the 90s living overseas – first in Scotland and then Germany. 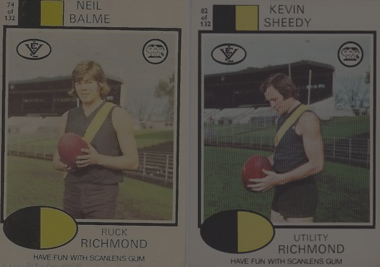 Apparently, the Kangas were good during this period and a bloke called Duck dominated. I didn’t see any of this. My only thoughts regarding North are, first: my Dad follows them – he’s originally from NSW and chose North based on the fact his Dad played League for Canterbury Bankstown, who are also blue and white, second: I can’t remember North ever being any good and third: I never, ever tip North correctly – they win when they should lose and lose when they should win. They were supposed to lose to Richmond, and as a result, I was worried. The first 10 minutes of the first quarter had me concerned – we were overusing the ball and turning it over with monotonous regularity. While I am big fan of ‘flair’, sometimes the basics work, especially early when the other mob is ‘up for the contest’™. Grimes starts very well and his bullet pass to George brings a big grin to my dial. Man-mountain Majak Daw’s tackle attempt is shrugged off by Towna despite the fact Daw is approximately 37 times his size. Daw is the sort of player who must frustrate the bejesus out of supporters – he has all the physical attributes to dominate footy but always seems to be a half-step behind the play. I really hope he works it out…just not today. Despite our poor use of the pill, we got inside 50 a lot – but don’t capitalise. North were a model of efficiency – by my count they got inside our defensive 50 twice and had kicked 2 straight. We had kicked 3.4. Quarter-time notes: Dusty unsighted, Cotch starting to get hot, Caddy kicks goals, we need to tighten up on Ben Brown, Cunnington is a machine. I am on iTunes listening to ‘Killing Joke in Dub’ and trying to work out if I like it or if I’m annoyed by it. I saw Killing Joke in Frankfurt in the mid-90s and they were fantastic, Jaz Colman was mental and my ears buzzed for a week. On the tele (muted) Sam Gibson is doing ballet. Early Killing Joke sounds like early Cult – when they were Southern Death Cult. I decide Killing Joke in Dub is annoying. Rance is tackled by Brown, while the ball is in a different postcode – Ball! Nice one ump… North kick the first of the term and edge closer. 8.4 to 6.2 North look like they believe they can beat us. Nank delivers a pinpoint look-away handball – he is a ripper. Titch misses a set shot. Rance, too slow, is tackled and the following passage of play sees the Sherrin sail over the umpire’s hat. 8.5 to 7.2 Our disposals have been poor and were it not for our tackling pressure, we’d be in real trouble. We need Dusty to join in at some stage. Lambert kicks his third. 9.5 to 7.2 I know I shouldn’t, but I’m starting to get annoyed by the number of ticki-touchwood frees the Kangas are receiving. Conca tries to break one too many tackles with the resultant turnover being marked by Brown 30 metres out, D.i.F. (Directly in Front) – Goal! 9.6. to 8.3 Soft free kick to McMillan – Goal! 9.6 to 9.3 The siren goes and Towna has a set shot from about 80 metres. In the background some North-supporting halfwit is hurling abuse at Towna while glancing at himself on the big screen. This bloke is, I’d say, in his late thirties. My suggestion for this clown is to maybe try on some big boy’s pants and grow up a bit, or go back to the kiddies table. What a twerp. Towna’s shot ends up going at right angles and almost into the second tier. Three-quarter time score 9.7.61 to 9.3.57. Q3 notes: Cotch is a jet, the game was very messy for the last 10 minutes and this suited North, we need to keep up tackling pressure, North have won more contested ball, the last quarter will be stressful, c’mon Dusty!!! End game notes: Our skipper – what a pearler. Cunnington (32 contested possessions!) – who wouldn’t have him? 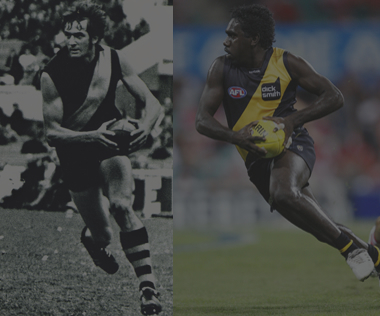 Dusty – good enough to have an impact, despite being in second gear. Bachar backed up into a pack to take a mark – he would not have done this 2 years ago. I was right about the free kicks Tiges 24 – Kangas 33. Sometimes we need to take the shot and not try to handball to someone who is in a marginally better position. Caddy is getting better and better. We won through grit and effort – this is good. Votes and notes this week from hard workin’ shiraz drinkin’ sports coachin’ Joe Crawford of Launceston. I took a lot of notes while watching the Tiges/Dogs game on Saturday night with the intention of writing a Benny report full of super-accurate reportage based on my Flanagan-like scribbling. The notes were on our kitchen table…and then they weren’t. So, apologies for what follows as it will be a rambling effort based on my dodgy memory, not at all helped by a few glasses of full-bodied McLaren Vale Shiraz and an already too long week of work, u/11 soccer and u/19 hockey. I walked into work at the start of the week and I’m greeted with ‘So now we see where the Tiges are really at’ and ‘Are they deflated balloons in your pocket?’ The glee with which these lines were delivered surprised me, particularly considering the first came from a Hawthorn supporter – not exactly setting the world alight – and the second from a Footscray supporter, who knows full well I was rapt with their barnstorming run in 2016. In past seasons I’d have fired up and defended our boys but this season is different; this is the season of hope based on genuine on-field improvement and the slings and arrows from the fools who follow lesser clubs bounce harmlessly off my armour of optimism. I give them nothing. I watched the Tiges/Scraggers game on TV with my Bulldogs-loving wife and my vaguely-interested-in-the-Tiges-because-dad-is son. 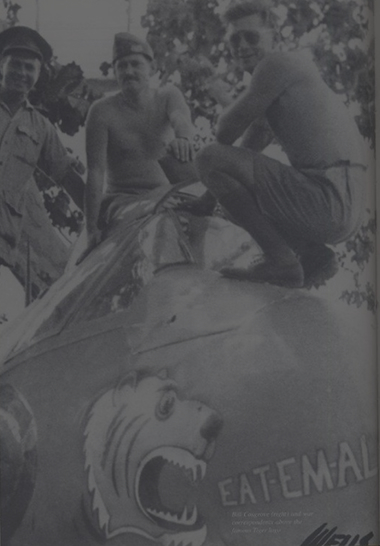 It started well for the Tiges; we continued our AFL dominance on the Ivan front with another Ivan pulling on the yellow’n’black and, despite the fact he is a mere sapling, he is a bloody big one. We bolted to a decent early lead and everything seemed to be set up nicely for an upset win. 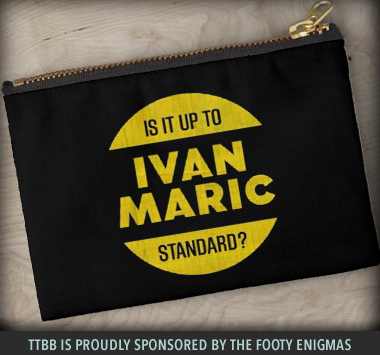 Unfortunately for the Tiges, big Ivan’s game was mirrored by the Tiges’ game; it started well, but experience and class won eventually wore us down. I’m not at all upset by the loss, despite the fact we put ourselves in a position to win, because the team has a mixture of solidity and potential which I haven’t seen since I returned to Australia in 2000. The kids are alright: Dan Butler looks a ripper and his shoelace pick-up and snap from 35 out was brilliant. Ivan Soldo was super-competitive early and once he develops an AFL engine he will be tremendous. Dan Rioli had a quiet night but we’re all excited to see what he produces as the seasons roll on. Jayden Short’s disposal is first-class. Kane Lambert is the energiser bunny. Oleg Markov has great hands and looks like he has plenty of poise. The future is bright. Our ‘older’ brigade stood up as well. Jack is growing as a leader and this is exemplified by his outstanding tackle count in 2017. I will admit; several seasons ago I would have traded him for half a pack of barbecue chips. Not now. Grigg is, for mine, our most consistent player. Grimes and Rance are a fantastic pairing at the back. Dusty went a bit OTT early with the ‘don’t argue’ but recovered to put in another excellent performance. Bachar played well without being outstanding. Cotch was quiet but he has had the best start to a season for yonks. Watching the game I thought, ‘Imagine if we had a fit, motivated Chris Yarran running off half-back.’ A skilled, line-breaking half-back really is one of our key missing ingredients. And then I remembered, ‘Jason Johanissen is up for grabs.’ And I’m serious. 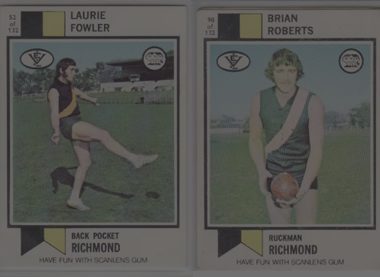 Given the number of very young players at Tigerland we surely have room in our salary cap to get him to Punt Road. 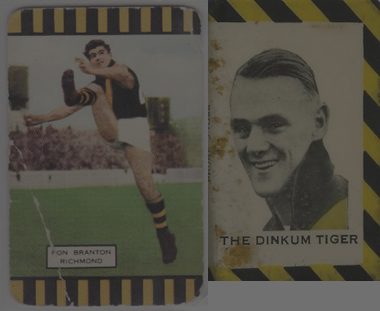 So this week, as well as handing out Benny votes I’d like feedback on the ‘Get JJ to Tigerland’ bid. 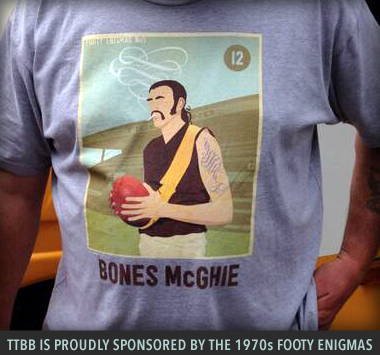 The Tiges are 5 wins and 2 losses. We have lost to Adelaide in Adelaide and the reigning Premier. This will happen to most clubs.